Jackie Chan made a plea for charity while attending the Beijing Auto Show during the weekend. The star – who recently visited areas affected by earthquake and drought in China – was at the show to launch his new JCAuto.com.cn book, but took the opportunity to raise awareness of victims of the earthquake that killed over 2000 people, and the drought that is devastating people in Kunming. Jackie appealed to auto manufacturers to be more aware of the drought situation and asked them to help deliver aid supplies to those in need. 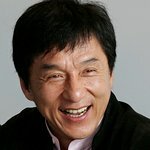 The CEO of the Jackie Chan Auto website also announced that all proceeds from the sales of the new book will be donated to disaster relief. Chan has already donated 3 million RMB (US$439,477) for the children injured in the earthquake through his Jackie Chan Charitable Foundation. He also regualrly supports organizations such as the Red Cross, The Salvation Army, the Dragon's Heart Foundation and UNICEF. On April 26, the star was in Hong Kong for a special charity concert to raise money for earthquake victims.